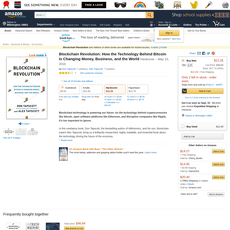 A 4-star Amazon rating book that gives an insight to what Blockchain is all about and mechanism by which it works or functions. 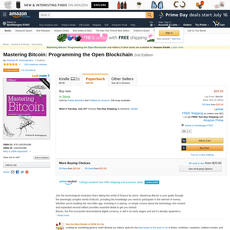 The book is only available on mobile devices i.e. 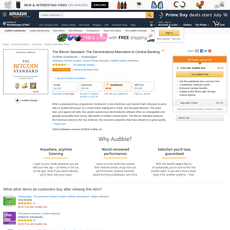 Kindle edition or Audiobook edition with just 209 pages. 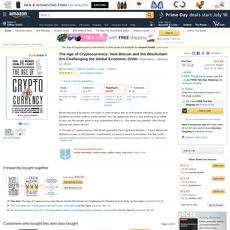 The book talks about the future of blockchain technology according to an expert in technology industry, William Mougar. He says our future has been made better with blockchain introduced as a catalyst for change in different sectors of the economy. • What is Blockchain and Blockchain Technology. 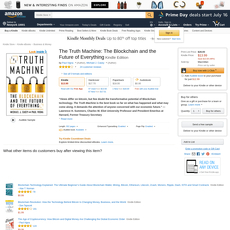 • How Blockchain Trust Infiltrates. • Blockchain in Financial Services. • Lighthouse Industries and New Intermediaries. • Decentralization as the Way Forward. 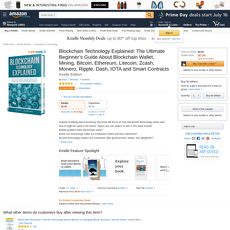 Each chapters of the book are expository and no doubt, when you are done reading, you will have the best knowledge about blockchain and how it works. 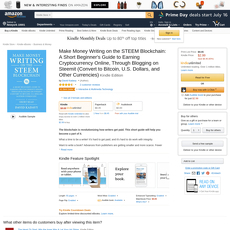 The book is a great book for anyone who finds himself or herself in the technology industry and wants to utilize blockchain to its full potential. 1. 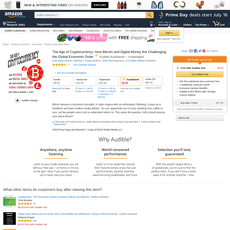 Audiobook: The book has an audiobook aside its Kindle edition which enhances listening and understanding. 2. 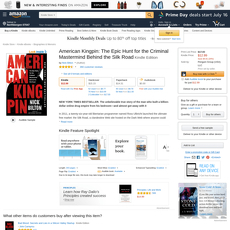 Page length: There are 209 pages of the book both Kindle or Audible edition. 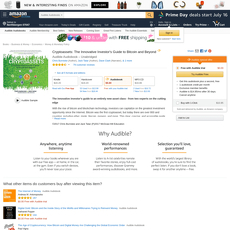 You get a discount when you buy the audiobook after getting the Kindle edition. 3. Text to Speech: The Text to Speech is enabled. 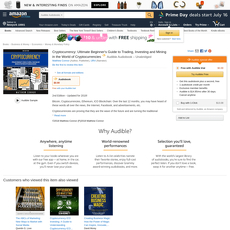 The book is expository both as Kindle or Audible edition.